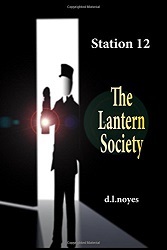 Discover the people, places, and things found in the new novel, Station 12: The Lantern Society and beyond. SPOILER ALERT: It is strongly suggested you read the novel before embarking on your exploration of this site. All the content of this wiki is the sole property of Daniel L. Noyes and Infinite City Studio Copyright 2015. Head to our INDEX and pick a category.